Based on my mother’s deep love of books, I’m guessing I was a baby the first time she took me to the library. At any rate, I have no memory of life before I knew what a library was or why they’re so special. They always have been and always will be part of my regular routine. Most of the stories I blog about here are science fiction or fantasy, but I read many more genres than those. Today I thought it would be fun to show you seven of the library books that I’m either currently reading or plan to start reading soon. 1. 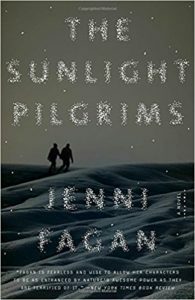 The Sunlight Pilgrims by Jenni Fagan. Most of the climate-based post-apocalyptic stories I’ve read over the past decade have assumed the Earth is going to become unbearably hot. This one assumed it would freeze. I haven’t started this one yet, but I’m curious to see how it will be different from the other post-apocalyptic tales I’ve read. 2. The Woman in White by Wilkie Collins. 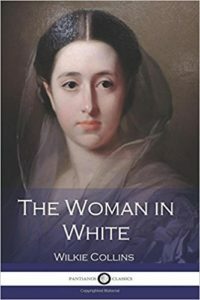 I honestly know very little about Wilkie Collins as an author or the story of The Woman in White in general. It’s something I requested from the library because I’m slowly working my way through classic novels that appeal to me for the sheer fun of it. One of the many nice things about being an adult is that you have the freedom to do this. I enjoy the classics so much more now that no one is assigning them to me or making me take quizzes about them. 3. 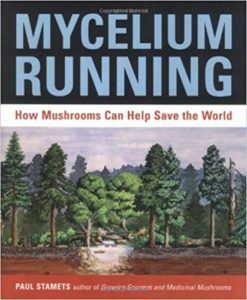 Mycelium Running: How Mushrooms Can Help Save the World by Paul Stamets. One of the guests on After Trek, the after-show for this series, told the fans to read Mycelium Running a few weeks ago. He said that there was something in this book that would give us a clue about what will happen next in this show. I took his advice, and I can’t wait to see how the science in this book continues to play out on the small screen. The writers are doing an excellent job of mixing the science of mycelium networks into a fictional universe so far. 4. 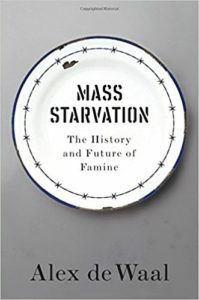 Mass Starvation: The History and Future of Famine by Alex de Waal. It blows my mind to think that there are still famines happening on Earth in 2018. The historical portion of this book is definitely going to be interesting, but what I’m looking forward to even more is reading this author’s thoughts on how to end famines for good. It’s high time our species did just that. 5. 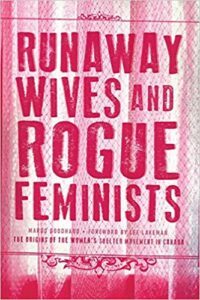 Runaway Wives and Rogue Feminists: The Origin of the Women’s Shelter Movement in Canada by Margo Goodhand. This is a part of Canadian history that I know absolutely nothing about. I’m looking forward to finding out how domestic violence shelters were first invented and who were responsible for all of the hard work that goes into starting something like that up. Women’s shelters are so underfunded and overcrowded now that I can’t imagine how difficult it must have been to create them in the first place. There is still so much work to be done in this area. 6. 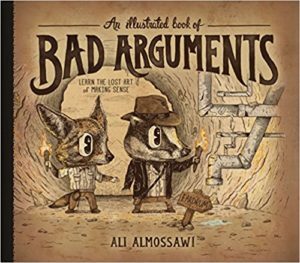 An Illustrated Book of Bad Arguments by Ali Almossawi. I have a silly confession to make. Half of the reason why I requested this from my local library is because I freaking love the cover. It also seemed like it would be a humorous break from the darker and more serious topics I generally read about. 7. 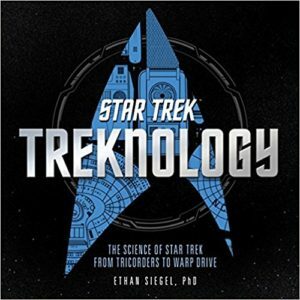 Treknology: The Science of Star Trek from Tricorders to Warp Drive by Ethan Siegel. This is a book that had an exceptionally long waiting list at the library, so I was thrilled when it finally showed up for me a few days ago. My spouse and I both enjoy Star Trek for different reasons. He likes to try to predict what is going to happen next, while I’m fascinated by all of the science and technology advancements that have been shown on the the various Star Trek series. When I was a kid, I desperately wanted to order dinner from a Replicator and play in a Holodeck program for an hour or two. Honestly, I still want to do that stuff! Maybe someday we’ll live in a world where such things are possible. If you’re a library nerd like me, what books, movies, albums, or other items have you recently borrowed from there?